When Jonathan Roth sees something he doesn’t agree with, he tries to change it. An SJSU professor of history for 25 years and the 2019 Distinguished Service Award recipient, Roth delights in being a contrarian. A scholar of ancient and military history and the son of a World War II veteran, Roth’s personal experiences and ideals have driven his teaching, scholarship and service. 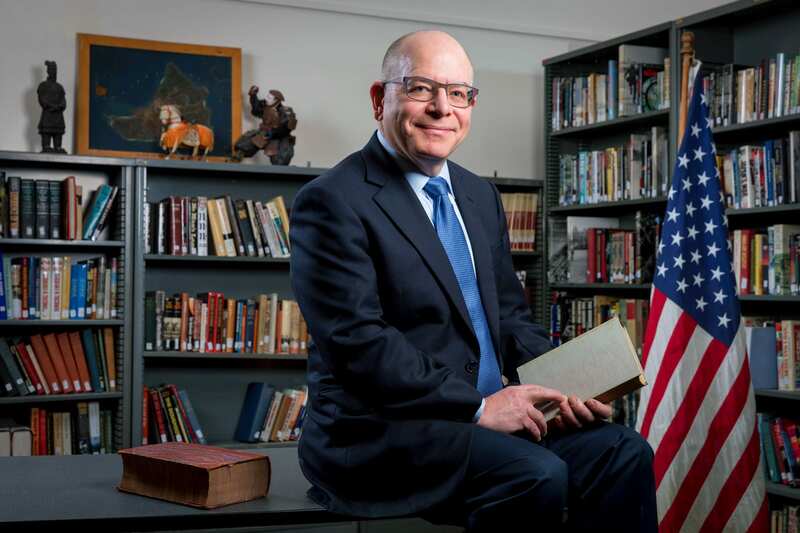 Roth’s efforts as the founder of the Burdick Military History Project, and as an advocate, advisor and student mentor for student veterans has helped SJSU go from being a school with limited support for veterans to being listed by U.S. News & World Report as one of the top 20 colleges for veterans. As chair of the history department, he revived the Jewish Studies program, and has served as the faculty advisor for the Jewish Student Union and led the Jewish Faculty and Staff Association, which he co-founded in 2013. Supporting veterans and the Jewish community are just two examples of Roth’s dedicated service. He is also strongly committed to shared governance, serving as chair of the Campus Planning Board, the Academic Senate’s Curriculum and Research Committee, Veterans Advisory Committee, and working on many others, including the University Retention, Tenure and Promotion Committee. As he works on these committees and other efforts, Roth says he is thinking of students, believing strongly in the need to support them and expose them to a wide variety of perspectives. The Distinguished Service Award recognizes a faculty member for exemplary service in a leadership capacity to the university and/or community or profession that brings credit to San Jose State University. This year’s winner comes from the College of Social Sciences. He will be honored at the 20th Annual Faculty Service Recognition and Awards Luncheon on March 21, 2019. Tickets are available for purchase.